The balance between the neta (the seafood) and shari (sushi rice) is the most important aspect of sushi. "Ittai-kan" is when the neta and shari unite in perfect harmony. Our restaurants feature "Omakase," a Japanese style chefs’ choice meal, which allows us to present our customers with selections that represent the seasons. 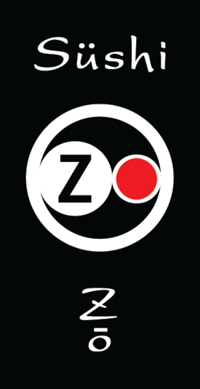 Sushi Zo only selects the highest quality and freshest natural ingredients, from our trusted local and worldwide sources. Our rice is meticulously cooked, seasoned with a unique blend of vinegars and served at body temperature, to create the perfect partner to the "neta." Each day, seafood products are carefully selected, prepared and served at their flavor peak. With many of our sushi selections, we use perfectly matched accompaniment for the particular "neta," which may include our unique soy sauce, sea salt and other ingredients. Our dishes are presented, one dish at a time at the perfect moment, when flavor, temperature and texture are in "Ittai-kan." This allows Sushi Zo customers to enjoy the true essence of Sushi Zo Style Sushi. Keizo Seki was born in Osaka, Japan. His lifelong desire to become a sushi chef, led him to Tokyo, where he gained valuable experience and knowledge of sushi. In 1991, he moved to Los Angeles, where he learned the business of the restaurant industry and honed his sushi skills. His dream to open a true Edomae style sushi restaurant, came to fruition in March of 2006, with the opening of the first Sushi Zo Restaurant in West Los Angeles. His unique style and impressive dishes, quickly gained notoriety in the Los Angeles Restaurant Circles, which gained him a 29 rating (out of 30) in his first Zagat Food Guide Review. Within three short years, he was awarded a prestigious Michelin Star. In 2013, Zo Downtown was opened in Downtown Los Angeles. In 2015, Sushi Zo New York was opened in Manhattan. Sushi Zo Bangkok, in Thailand, is expected to open in December of 2016. Sushi Zo Hong Kong • Coming Soon | © 2014- ZO CORPORATION All rights reserved.